The Fairy Tale Project is based on a children’s book written by author Dani Lynn and beautifully illustrated by award winning artist Jacklyn Laflamme. The F.T.P. 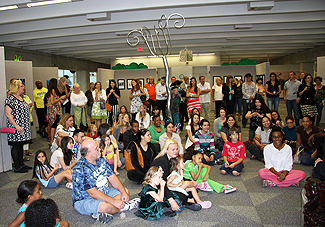 began in March 2010 with a grant from the Art and Cultural Division of Broward County, Florida. 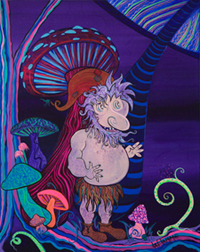 The unique combination of a fairy tale story told with words and art made the story come alive and has been very well received by children and adults alike. Our goal is to promote reading by inspiring children’s imaginations. 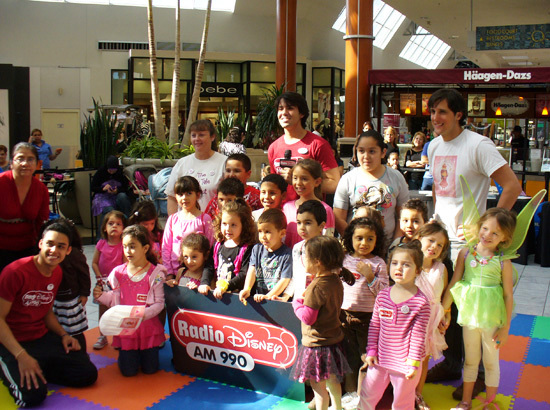 We have been guests at a number of story time readings and art/ literature workshops throughout South Florida including a couple of interactive story time readings hosted by Radio Disney in 2011 for Simon Kidgits Club’s “Book Blast” who partnered with The Florida Department of Education’s “Just Read, Florida!” for a book drive in Miami-Dade and Broward county malls. The fairy tale story is about Will, a city boy who goes to visit his Grandpa Otus out in the country in the small town of Astrophyllite. The story follows Will and Grandpa Otus on an adventure through a magical forest where they meet some delightful and some downright frightening creatures that teach them patience, to take time and enjoy life, and also give them the opportunity to face their fears, something they discover they are capable of through the power of love. 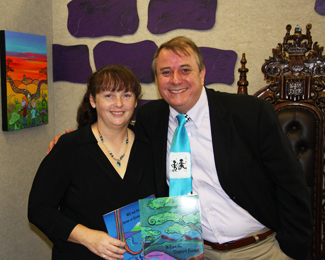 Author Dani Lynn with Dr. Timothy Leistner. 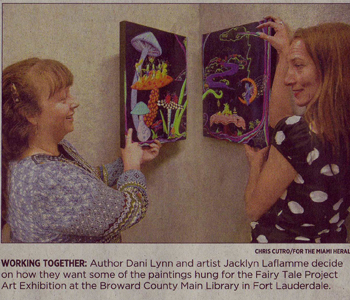 Author and Artist prepare for opening night, Broward County Main Library, Ft. Lauderdale, March 2010.
or purchase directly from Amazon.